Select your best idea and develop it to a final design. 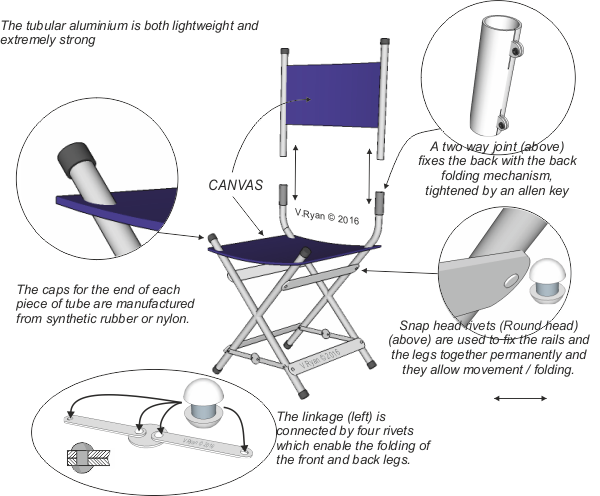 Include notes / annotation and labels to help explain the design and how it meets the original design need (a folding chair for music festivals). Select your best idea very carefully. It should be your most innovative / interesting. Do not select an idea that looks like an existing chair. 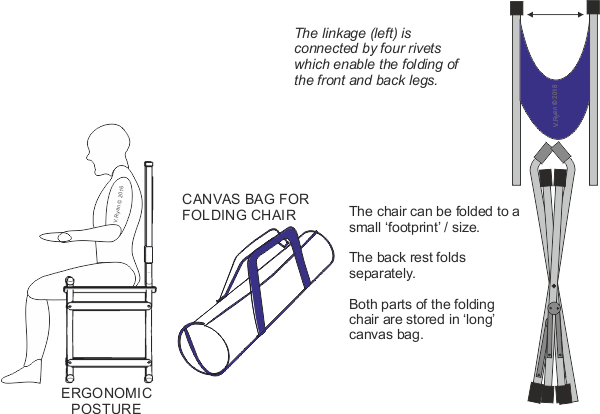 Add plenty of notes and labels to help explain every aspect of the chair and how it folds. Add some colour and shade. See the example below.